Osho – who was a widely followed Indian guru from the 60s-80s – brings up some very interesting and insightful points about the differences between Western psychology and Eastern spirituality’s approach to changing man. Osho correctly states that Western psychology’s aim is to fortify the individual’s ego so that he may become less neurotic, slightly happier and ultimately function ‘better’ in society. He says that in the East, the goal is instead to dissolve the ego rather than strengthen it. It could be said that the neurosis of Western man stems from a life-long repression of almost every natural desire and instinct that we have as a human animal. This is a result of our societies many taboos and laws which punish us for thinking or acting outside a certain archetype of a normal, healthy person that has been created for us. The result is that we are at war with ourselves, as we constantly have to police our thoughts and behaviours, and those of others around us. This is where psychology comes in, to iron out any tensions that we may have so we can come out the other side with a stronger ego – to transform from a lower case, italicised i, to a capitalised, bold I.
Osho’s problem with psychology is that it is too concentrated with analysis and not at all with synthesis – it is focused on picking apart, analysing, and making one a better individual, rather than putting together, and making one whole and connected with everything. 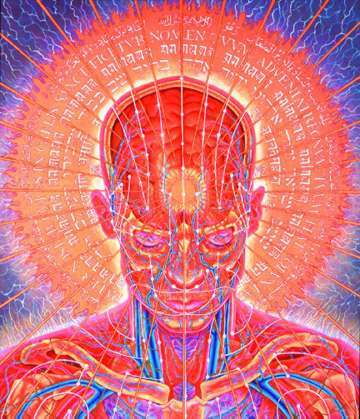 You could say that the body, mind, and spirit are a house, and Western man is trapped inside it. Osho believes that the locked door is the ego, the key is meditation, and that outside is liberation from the self, spiritual freedom and self realisation (enlightenment). Osho compares this losing of the ego and becoming enlightened to being a rain drop that falls into the ocean – both become simply water, there is no separation. Below is a transcription of Osho’s talk. “I don’t give much value to Freud, Jung, Adler, or Assagioli. Freud, Jung, Adler, and others, are just children playing on the sand of time. They have gathered beautiful pebbles, beautiful colored stones, but when you look at the ultimate, they are just children playing with pebbles and stones. Those stones are not real diamonds. And whatsoever they have gained is very, very primitive. You will have to go slowly with me to understand. Man can be physically ill; then the physician, the doctor is needed. Man can be psychologically ill; then a little help can be given by Freud and Jung and others. But when man is existentially ill, neither a physician nor a psychiatrist can be of any help. Existential illness is spiritual. It is neither of the body nor of the mind, it is of the total — and the total transcends all parts. The total is not just a composition, a composition of the parts. It is something beyond the parts. It is something that holds all the parts into itself. It is a transcendence. And the illness is existential. Man suffers from a spiritual illness. Dreams won’t be of any help towards that. What in fact can dreams do? At the most they can help you to understand your unconscious a little bit more. Dreams are the language of the unconscious; the symbols, indications, hints and gestures of the unconscious; a message from the unconscious to the conscious. Psychoanalysts can help you to interpret the dreams, they can become mediators, they can tell you what your dream means. Of course, if you can understand your dream, you will come a little closer to your unconscious. This will help to make you more adjusted with your unconscious. You will have a little understanding. Your two parts, the conscious and the unconscious, will not be so far apart; they will be a little closer. You will not be split as much as before. A little unity, a sort of unity will exist in you. You will be more normal, but to be normal is nothing. To be normal is not even worth talking about. To be normal means you are as you should be ordinarily; nothing else has happened, nothing from the beyond has penetrated you. You will be a more adjusted person in the society also. Of course, you will be a little better husband, a little better mother, a little better friend, but only a little. But this is not self realization. And when Jung starts talking about self-realization through dream analysis, he is talking very stupidly. It is not self-realization, because self realization comes only when there is no mind. Dreams interpreted are not interpreted; they belong to the mind, they are part of the mind. And no psychology of the West — except for Gurdjieff, Eckhart and Jacob Boehme — no psychology of the West goes beyond mind. And these few people, Jacob Boehme, Eckhart, and Gurdjieff, in fact don’t belong to the West, they belong to the East. Their whole standpoint is Eastern. They are born in the West, but their attitude, their way of life, their very understanding is of the East. When I say ‘of the East’, always remember that I don’t mean geographically. To me, East is a standpoint and West is also a standpoint. I am not concerned with geography. ‘West’ is a way of looking at things, ‘East’ is also a way of looking at things. When East looks at things it looks at the total, and when West looks at things it always looks at the part. The Western attitude is analytical — it analyzes. The Eastern attitude is synthetic — it synthesizes, it tries to find the one in the many. The Western attitude tries to find the many in the one. The Western attitude has become very efficient in analyzing, dissecting, taking things apart. Even a movement like the Psychosynthesis of Assagioli is not a real synthesis, because the very standpoint is missing. First Freud and Jung have taken things apart, they have broken the whole, and now Assagioli is trying to put those parts together somehow. You can dissect a man into parts, he was alive; when you have dissected him, he is no longer alive. Now you can put the parts back again, but the life will not come. It will be a dead corpse. And even parts put together again will not make it a whole. What Freud and Jung did, Assagioli is simply repenting for. He is putting the parts together again but it is a corpse. There is no synthesis in it. You have to look at the whole, and the whole is something totally different. Now even biologists have become aware, even medicine is becoming more and more aware every day that when you take the blood out of a man to examine it, it is no longer the same blood that was running through the man because now it is dead. You are examining something else. The blood circulating in man is alive. It belongs to a whole, a system; it runs through it. It is as alive as a hand of the body. You cut the hand — it is no longer the same hand. How can the blood be the same when you take it out of the body, take it to the lab and examine it? It is no longer the same blood. Life exists as a unity, and the Western standpoint is to dissect, to go to the part, to understand the part and through the part to try to comprehend the whole. You will always miss. Even if you can comprehend like Assagioli, then that comprehension will be like a corpse: somehow put together but with no living unity in it. Freud and Jung worked with dreams. It was a discovery in the West, a great discovery in a way, because the Western mind had completely forgotten about sleep, about dreams. Western man has existed for at least three thousand years without thinking about dreams and about sleep. Western man has been thinking as if only the waking hours are life, but the waking hours are only two thirds. If you live sixty years, you will be asleep for twenty years. One third of life will be in dreams and in sleep. It is a big phenomenon; it takes one third of your life. It will not be simply discarded; something is happening there. It is part of you, and not a small part but a major part. Freud and Jung brought back the concept that man has to be understood through his dreams and his sleep, and much has been done along that line. But when Jung starts thinking that this is something towards self realization, then he has gone too far. It is good. For psychological health it can be helpful, but psychological health is not existential health. You may be physically healthy, you may be psychologically healthy, but you may not be existentially healthy at all. On the contrary, when you are psychologically and physically healthy, for the first time you become aware of the existential anxiety, of the anguish inside. Before it you were so occupied with the body and the mind and the illnesses that you couldn’t afford to look at the inward being. When everything is set right: body functions well, mind is not in any trouble, suddenly you become aware of the greatest anxiety in the world — the existential, the spiritual. Suddenly you start asking, ‘What is the meaning of it all? Why am I here, for what?’ This never occurs to an ill man because he is too occupied with the illness. First he has to look after the body, and then he will think. Then he has to look after the mind, and then he will think. Body and mind, if healthy, will allow you for the first time to be really in trouble. And that trouble will be spiritual. When Jung talks about his analytical psychology as a way to self realization, he does not know what he is saying. He himself is not a self realized man. Go deep into Jung’s life, or Freud’s life, and you will find them ordinary human beings. Freud got as angry as anybody, even more than ordinary people. He hated as much as anybody. He was jealous, so much so that when a fit of jealousy came to him, he would fall on the ground and become unconscious. This happened many times in Freud’s life. Whenever jealousy would take him, he would be so disturbed that he would fall into a swoon, a fit. This man, self-realized? Then what about Buddha? Then where will you put Buddha? Freud lived with ordinary human ambition; the political mind. He was trying to make psychoanalysis a movement just like communism, and he tried to control it. He tried to control it just like any Lenin or Stalin, even more dominatingly. He even declared Jung to be his successor — and look at Jung’s pictures! 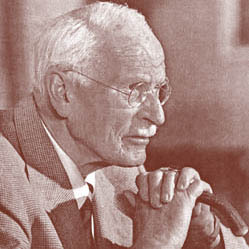 Whenever I have come upon a picture of Jung, I always look at it very deeply; it is a rare thing. Always look at Jung’s pictures; you will see everything written on the face: the ego. Look at his nose, the eyes, the cunningness, the anger; every illness is written on the face. He lived as an ordinary, fear-ridden man. He was very afraid of spirits, ghosts, and very jealous, competitive, argumentative, quarrelsome. The West really does not know what self-realization is, so anything becomes a self-realization. The West is not aware of what self-realization means. It means such an absolute silence that it cannot be disturbed by anything. Such absolute nonbeing; how can possessiveness, ambition, jealousy exist in it? With a no mind, how can you dominate, how can you try to dominate? Self realization means the complete disappearance of the ego. And with the ego, everything disappears. Remember, the ego cannot disappear through the interpretation of dreams. On the contrary, the ego may get stronger, be cause the gap between the conscious and the unconscious will be less. Your ego will be strengthened, your mind will be stronger. The less trouble there is in the mind, the more strong mind will be. You will have a new lease for the ego. So what psychoanalysis can do is to make your ego more grounded, more centered; to make your ego stronger, more confident. Of course, you wilt be able to exist in the world better than before, because the world believes in the ego. You will be more able to fight in the struggle for survival. You will be more confident about your self, less nervous. You will be able to achieve a few ambitions more easily than if you were troubled inside and the unconscious and conscious were in a constant quarrel within. But this is not self realization. On the contrary, it is ego realization. The whole Western psychology up to now has not come to the point of non-ego. It is still thinking in terms of the ego: how to make the ego more strongly rooted, centered; how to make the ego more healthy, normal, adjusted. The East takes the ego itself as the disease; the whole mind is the disease. There is no choice about it — conscious and unconscious both have to go. They have to go and that’s why the East has not tried to interpret. Because if something has to go, why bother about its interpretation? Why waste time? It can be dropped. Look at the difference: the West is somehow trying to make an adjustment between the conscious and the unconscious and strengthen the ego, so that you become a more adjusted member of society, and also a more adjusted individual inside. With the rift bridged, you will be more at ease with the mind. The East has been trying to drop the mind, to go beyond it. It is not a question of adjustment to the society, it is a question of adjustment to existence itself. It is not a question of an adjustment between the conscious and unconscious, it is a question of the adjustment of all the parts that constitute your whole being. Dreams are important. If a man is ill, dreams are important; they show symptoms of the illness. But you don’t know about the man who has no dreams. Dreaming is a pathology in itself; dream itself is pathology. Buddha never dreamed. What would Freud have done? If Freud had been there, what would he have done with a Buddha? What would he have interpreted about him? — there was nothing to interpret. If Freud had gone inside Buddha, he would not have found anything to interpret. His whole psychology would have been absolutely useless. It happened that in America, there was a man who was very, very efficient in reading other people’s thoughts — a mindreader. He was always a hundred percent right. He would sit before you; you would close your eyes and start thinking, and he would close his eyes and start talking about what you were thinking. Immediately that you would think, the thought would be transferred and he would receive it. This is an art. Many people know about it. It can be learned, you can do it, because thought is a subtle vibration. If you are receptive the other mind becomes a broadcasting station, you become the receiver. Thought is a broadcast because ripples arise in the electricity around the man. If you are silent enough, receptive, you will catch them. If Freud or Jung were near Buddha, or if they had come to me, they would not have found anything to interpret, they would not have found any thought to catch. The East says, ‘Dreaming itself is pathology.’ It is a sort of illness; it is a disturbance. When you are really silent, thinking disappears in the day and dreaming disappears at night. Think ing and dreaming are two aspects of the same thing: during the day while you are awake, it is thinking, and at night while you are asleep, it is dreaming. Dreaming is a primitive way of thinking; thinking in pictures just as children think. That’s why in children’s books we have to make many colored pictures. Children cannot move with words very much. By and by, they will move. You have to draw a big mango, and write in small letters, ‘mango’. First they vv-ill see the picture, and then they will become associated with the word. By and by, the picture will become smaller and smaller and disappear. Then the word ‘mango’ will do. A primitive mind thinks in pictures just like children do. When you are asleep, you are a primitive. The whole civilization disappears, culture disappears, society disappears. You are no longer part of the contemporary world, you are a primitive in the cave. Because the unconscious mind has remained uncultivated, you start thinking in pictures. Dreaming and thinking are both the same. When dreaming stops, thinking stops; when thinking stops, dreaming stops. The whole effort in the East has been: how to drop the whole thing. We are not worried about how to adjust it or how to interpret it, but how to drop it. And if it can be dropped, then why bother about the interpretation? Why waste time? Sooner or later the West is going to realize this, because now meditative techniques are penetrating into the West. Meditations are the way of dropping dreaming, thinking, the whole complex of the mind. And once they are dropped, you attain to a well-being not of the mind. You attain to something which is not even conceivable in your state of mind right now. You cannot even imagine it, what it will be like when you don’t think, when you don’t dream, when you will just be. Psychoanalysis or other trends take such a long time: five years, three years, just interpreting dreams. The whole thing seems to be so boring, and only few people can afford it. Even those who can afford it, what do they gain out of it? Many people have come to me who have been through psychoanalysis; no self realization has happened. They had been in psycho, analysis for many years. Not only have they been psychoanalyzed, they have psychoanalyzed many others and nothing has happened, they remain the same, the ego is the same. On the contrary, they are a little firmer, stronger. And the existential anxiety continues. Yes, I don’t place much value on Freud and Jung, because my attitude is: how to drop the mind? It can be dropped and it takes less time to drop it, it is easier to drop it. In fact, it can also be dropped without anybody’s help. The East stumbled upon the fact near about five thousand years ago. They must have interpreted, because in the ancient Eastern books there are interpretations of dreams. I have not come across a single new discovery which has not already been discovered in the East somewhere in the past. Even Freud and Jung are nothing new. It is a rediscovering of the old territory again In the East they must have discovered, but at the same time they discovered that you can go on interpreting the mind and there is no end to it: it goes on dreaming, it goes on creating new dreams again and again. In fact, no psychoanalysis is ever complete. Even after five years it is not complete. No psychoanalysis can ever be complete because the mind goes on weaving new dreams. You go on interpreting, it goes on weaving new dreams. It has infinite capacity — it is very creative, very imaginative. It ends only with life, or, it ends with meditation if you take the jump and die on your own. Death is needed for the mind, not analysis. And if death is possible, what is the point of analysis? These are two absolutely different things and you have to be aware. Jung and Freud are geniuses gone astray; great intellects, but wasting their time. And the problem is that they have discovered so many things about the mind, but they themselves cannot use it — and that should be the criterion. If I discover a technique of meditation and I cannot meditate myself, what meaning can my discovery carry? But that too is different in the East and the West. In the West they say, ‘Maybe the physician cannot heal himself, but he can heal you.’ In the East we have always been saying, ‘Physician, heal thyself first. That will become the criterion of whether you can do it to others or not.’ In the West they don’t ask, they don’t ask that. In the West science goes on its own. Personal questions are not asked because science is thought to be an objective study, no thing to do with the subjectivity. It may be so in science, but psychology cannot be absolutely objective. It has to be subjective too, because mind is subjective. The first thing that should be asked of Jung is, ‘Have you realized yourself?’ But he was really very egoistic. He was thinking that he had realized. He was reluctant to come to India. Only once he came, and he was reluctant to go and see a saint, even a saint like Ramana Maharshi. He was reluctant, he would not go. What was there for him to learn? — he had everything already. And he knew nothing, just a few fragments of some dreams that he had interpreted — and he thought that he had interpreted life. You go on interpreting dreams, and you think dreams are the reality. In the East our standpoint is just the opposite. We have been looking into life and we have found that life itself is a dream. You think that by interpreting dreams you have interpreted reality. Just on the contrary, we have looked into life and found that it is nothing but a dream. And why this reluctance? The East was a fear to Jung. He was afraid of the East and there was something in it: he was afraid of the East because the East would reveal the reality of his own understanding — that it was false. Had he been to Ramana, had he been to some other mystic in the East, he would have immediately realized that whatsoever he had attained was nothing. It was just on the steps of the temple. He had not entered the shrine yet. But in the West, anything goes. Without their knowing what self-realization is, they call it self realization. You can call it any thing; it depends on you. This entry was posted in philosophy, psychology, religion and tagged east, freud, jung, osho, psychology, spirituality, west by Michael Cunningham. Bookmark the permalink. East don’t means India.. Nearly all the population of India is uprooted from existence at present. East means techniques developed in east which includes India, Japan and other regions long time ago. 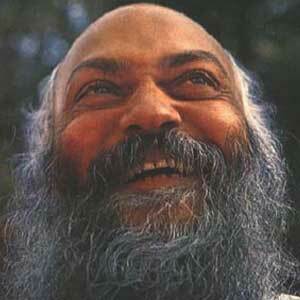 Contemporary India does not have such presence of masters after Osho. Reblogged this on East Meets West: Best of Both. Thanks for this post.. Game is about to over certainly.